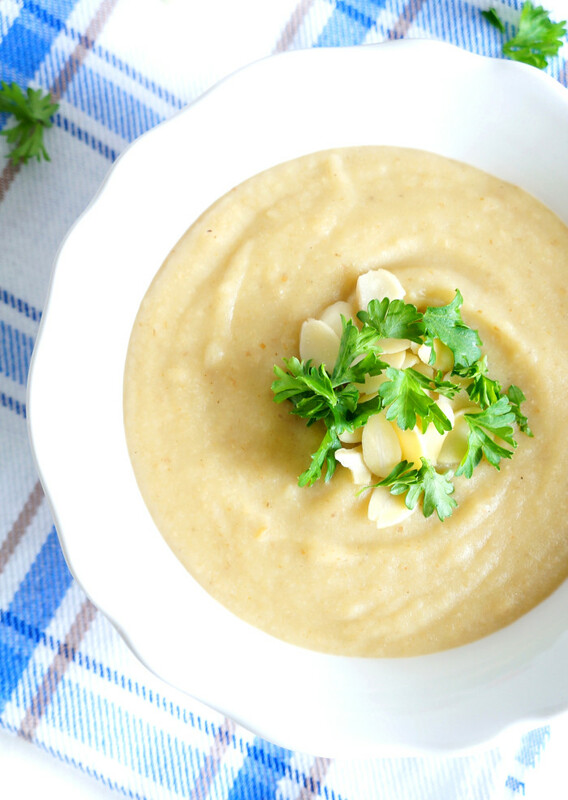 This healthy apple parsnip soup is super creamy, flavourful and filling. 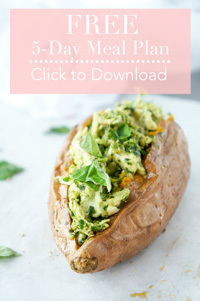 A perfect side or appetizer! Lately Matt has been getting a little more spontaneous in the kitchen and has decided that he’d like to start making dinner on Saturday nights. Wow… isn’t he a dream come true!? 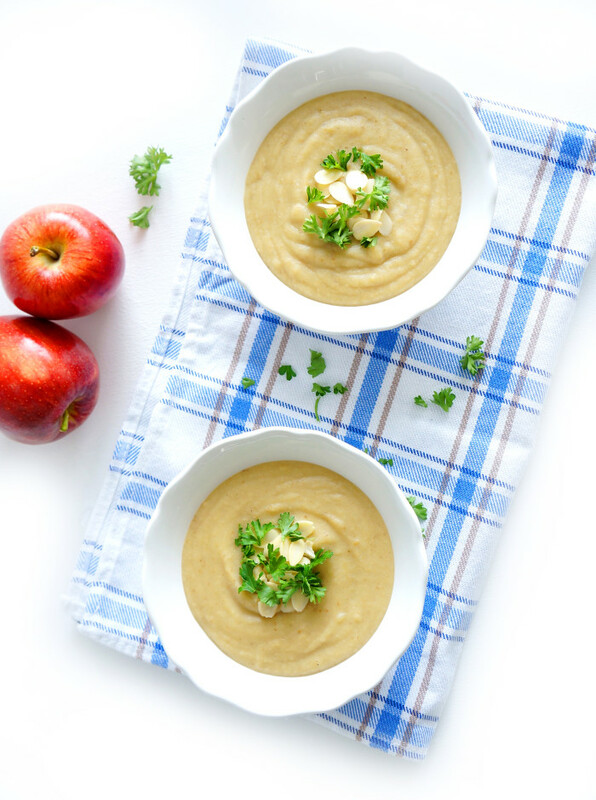 A few weekends ago, he whipped up this creamy apple parsnip soup. I was seriously impressed at how good it tasted. It was absolutely delicious! I warned him that if he keeps this up, I might stick him in the kitchen more often..
Now parsnips are not something that I have cooked a lot with over the years, but every recipe that Matt gravitates towards strangely enough seems to have parsnips. I’ve never known anyone to be so obsessed with parsnips. Well. 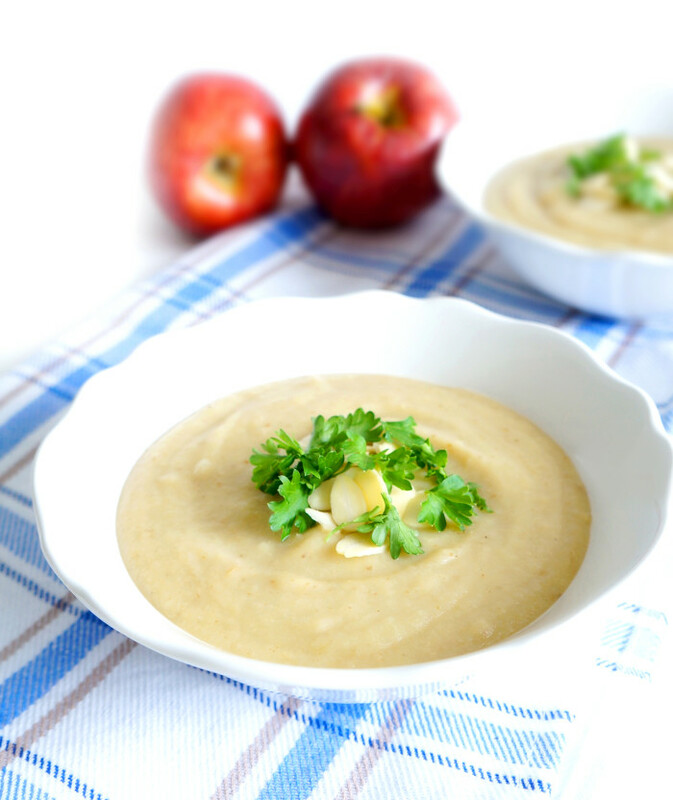 They just happen to work beautifully in this soup along with the sweet apple and curry flavours. AND they lend this amazing creamy texture that’s to die for! So I think I’m officially sold on parsnips and will make it my personal mission to add them to more of my recipes. One more thing that I love about this soup is the abundance of nutrients…fibre, vitamin C, potassium, magnesium, calcium, zinc, and iron. So much nutrition in one bowl of soup! It is definitely one of those fill-you-up type of soups, so it’s perfect as an appetizer or side! In a large pot, heat oil over medium heat. Sauté onion for 3 minutes or until starting to soften. Add ginger and curry paste. Sauté for about 2 more minutes or until onions are softened. Stir in parsnips, apples, potato, broth and a ¼ tsp each salt and pepper. Cover and bring to a boil over high heat. In a separate bowl, whisk flour into milk and stir into pot. Use an immersion blender in the pot or transfer soup to a blender or food processor, in batches, and purée until smooth. Return to pot, if necessary. Heat over medium heat, stirring often, for about 5 minutes or until slightly thickened. Drizzle in lime juice while stirring. Season with salt and pepper to taste. Ladle soup into bowls and garnish with parsley and almonds.